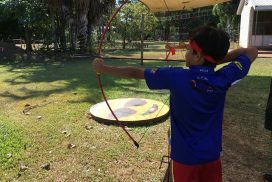 At Parap Primary School, we seek through appropriate wellbeing programs to provide students with the skills, behaviour and knowledge that will enable them to participate fully and successfully in our school and within society. School Values Education Package and Living Our School Values underpins all that we seek to do in the school. Clear school rules, standards and expectations applied uniformly across the school, including a strong emphasis on valuing and recognising positive conduct. Comprehensive and uniform Behaviour Management procedures. Our goal in managing negative or oppositional behaviour is to return the student to a positive standard of conduct in keeping with the school community’s expectations and which enables the student to retain and develop his or her sense of positive self-esteem. Parents/caregivers are involved in these processes as appropriate. 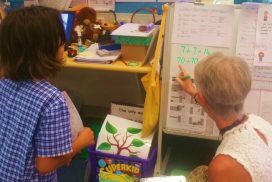 The Friendly Schools Plus program is based on six years of rigorous scientific research with over 6000 Australian school students, their parents and teachers. It is one of the few evidence-based programs designed to improve social skills and resiliency as well as reduce bullying. Parap Primary School does not tolerate bullying in any form. All members of the school community are committed to ensuring a safe and caring environment which promotes personal growth and self-esteem for all children. Parap Primary School believes every child has the right to a safe school environment and a caring education system. On a daily basis, schools deal with a range of social, emotional and behavioural problems that impact on student learning. Promoting the health and wellbeing of children is part of improving educational outcomes in schools, and building happy, motivated and resilient children. 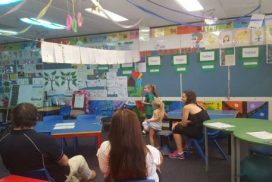 Since 2011 the Parap School Council have partnered with Millner Primary School and Good Beginnings to employ a part-time School Counsellor. The School Counsellor acts as a positive link that connects individual students, their families and teachers to help deliver the best possible outcomes for all students. Our School Counsellor can be contacted regarding any student concerns, feedback and also any issues that require addressing within the school community. If you would like to hear more about the program or wish to speak with the School Counsellor, please feel free to contact our front office. The Guardian Angels provide support for the duty staff and lend assistance to Early Years students where needed. Primary years students volunteer to be Guardian Angels. This initiative has become very popular and valued over time and contributes strongly to ensuring a positive and caring playground environment. 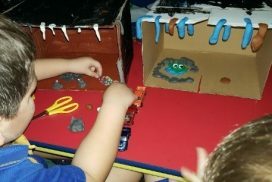 All classes form Buddy relationships with other classes across the school, with an emphasis on older and younger students getting to know and care for each other through class visits, shared reading and other activities, including spending playground time together. These relationships often extend over the years and are valued by the students. KidsMatter for families is also on Facebook. 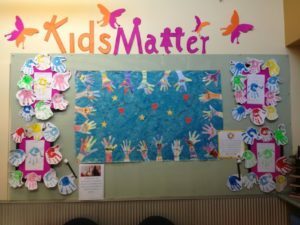 Like this page to access quality resources and advice aligned to the KidsMatter mental health and wellbeing framework. Recent topics include resilience, child brain development and helping kids to cope with stress.